“Captain Phillips” stars Tom Hanks, whose name cannot be uttered without thinking of the Academy Awards. Fair enough. He’s one of the best actors of his generation. Now he’s teaming up with director Paul Greengrass (“The Bourne Trilogy”, “United 93”) to tell a story that made global headlines in 2009. 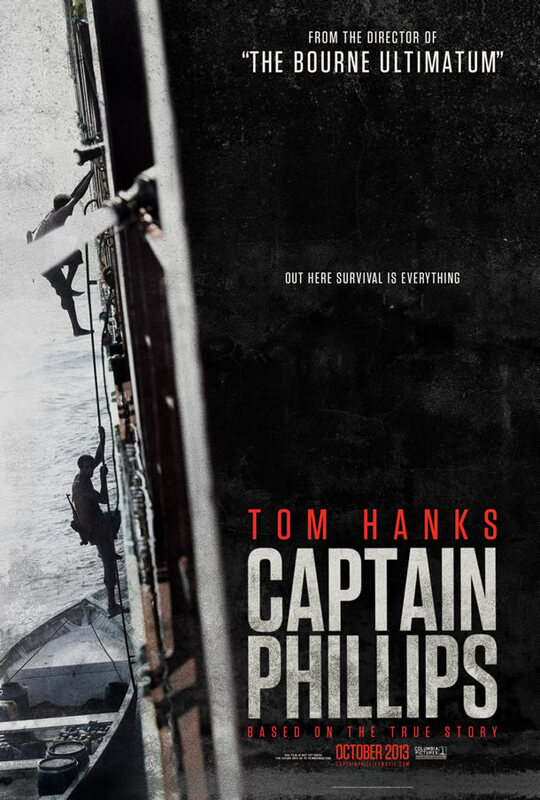 Hanks plays Richard Phillips, captain of the Maersk Alabama, whose ship was hijacked by Somali pirates before they held him for ransom on a lifeboat for five days until the Navy SEALs came to the rescue. The movie could have sucked. Nevermind that it’s based on a true story. None of it would have mattered if it weren’t passionately directed by Greengrass. Using hand-held cameras, he captures the horror of those 5 days without injecting it with Hollywood bull. His movie is thunderously exciting, but what makes it resonate is the relationship between Hanks and his abductor (a terrific Barkhad Abdi who has never acted before). Patient viewers will certainly be rewarded, as the story gets more intense as we move along. We’ve waited all year for a wild ride to grab us with more than jolts. Now it’s finally here. Kudos to director Paul Greengrass, and especially Tom Hanks, who hasn’t been this good in a very long time. Oscar or not, that does deserve your consideration.